Now this is what we call an outstanding piece of art. 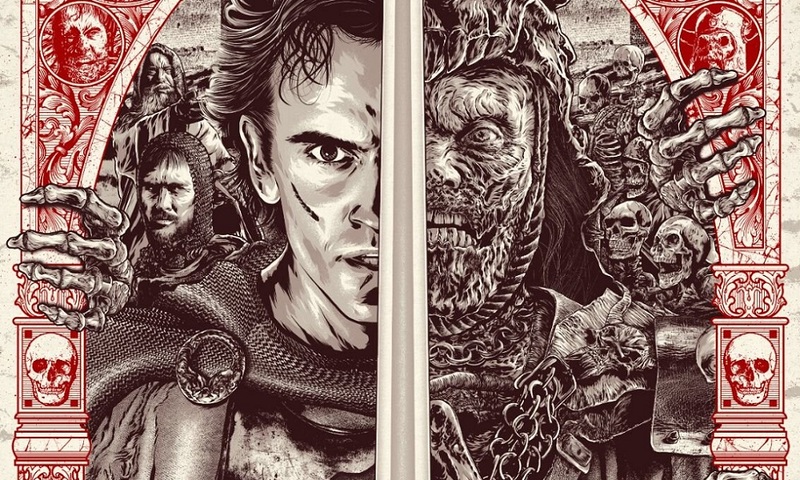 Artist Anthony Petrie’s stunning new Army of Darkness screen print is designed to look like it came right out of the demonic pages of the Necronomicon. You can pick one up at Grey Matter Art’s website on July 12th. 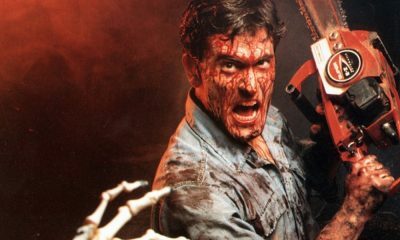 You will find a couple of deadite variants of the Army of Darkness art print below, along with a link to order yours. Grey Matter Art under license from MGM, is proud to present a new officially licensed, limited edition screen print for the classic Sam Raimi directed horror film, Army of Darkness by the very talented artist, Anthony Petrie. 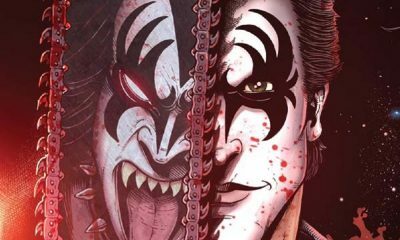 We were absolutely blown away by Anthony’s concept to make this look like a page taken right from the Necronomicon, and we thought this would be a perfect follow up to his Evil Dead 2! 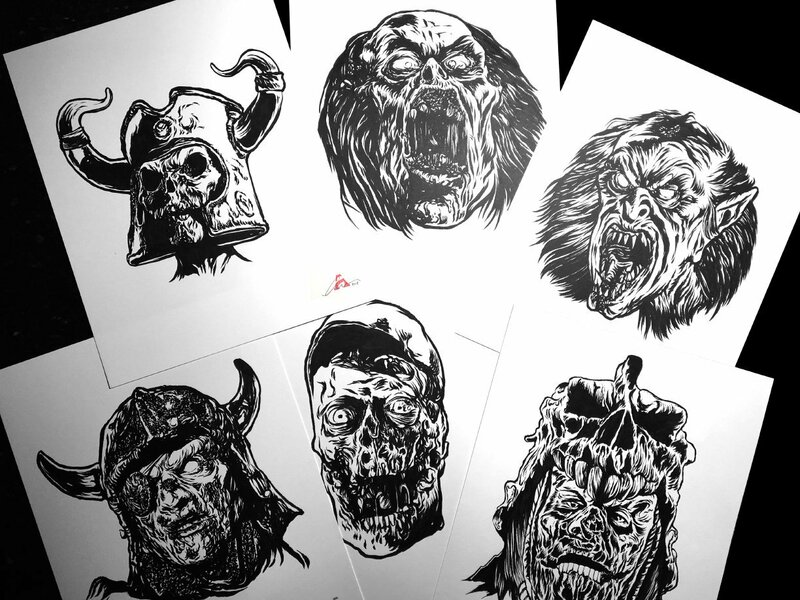 Also, we will be inserting 9″x12″ original drawings by Anthony into random orders. To be eligible, you must purchase on the day of the sale. Below are details regarding the poster and release information. 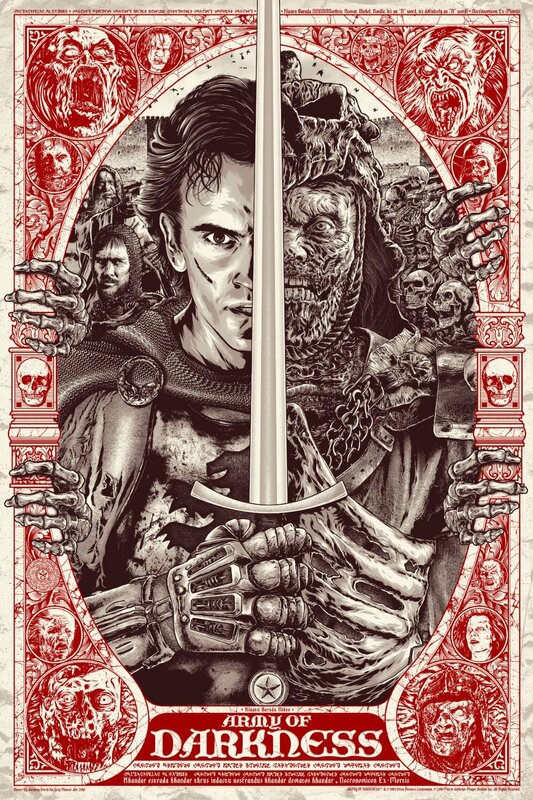 Army of Darkness by Anthony Petrie – 24″ x 36″ hand-numbered screen print – $45.00 – Edition of 225 – Printed by D&L Screen Printing. 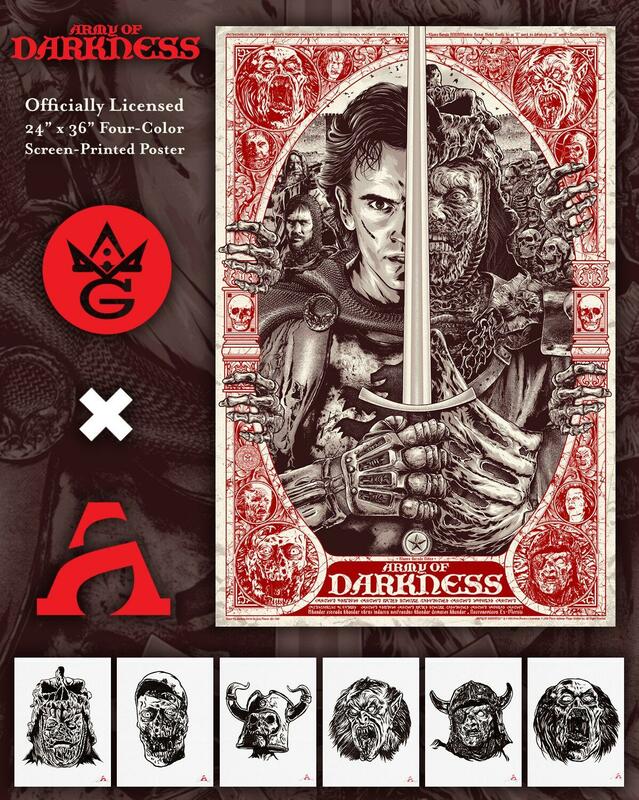 The Army of Darkness screen print will be released on Thursday, July 12th at 1PM (est). at greymatterart.com. For all updates and information, follow their Facebook, Twitter, and Instagram pages. You can also sign up to their Newsletter too!